In a previous post we learned how to use Asciidoc markup in a table. The a character is just one of many styles we can define in our table. In this blog post we see which style options we have. 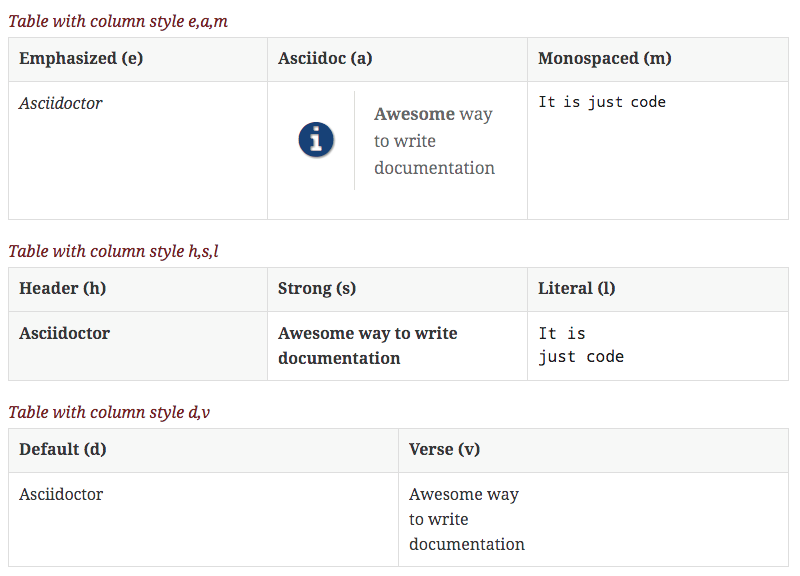 We can either use the cols attribute to define a style for a whole column or specify per cell the style.